Summer weather is finally sneaking up here in San Diego, and I'm super excited to get back in the ocean more now that it's not so chilly! We picked up a new inflatable Stand Up Paddle board a few weeks ago from ISLE Surf & SUP, a local San Diego company. I was really excited to try the inflatable board because it's supposed to be very forgiving and stable, which is perfect for taking the pups out on the water. If you follow my Instagram, you've seen me take Piko out on the board (he LOVES it). But my old board is a little unstable and it's pretty hard to actually balance the both of us while paddling with any speed. So we gave the new board a try with Solo the Fijian Wonderdog yesterday... and took some snaps to document the attempt! 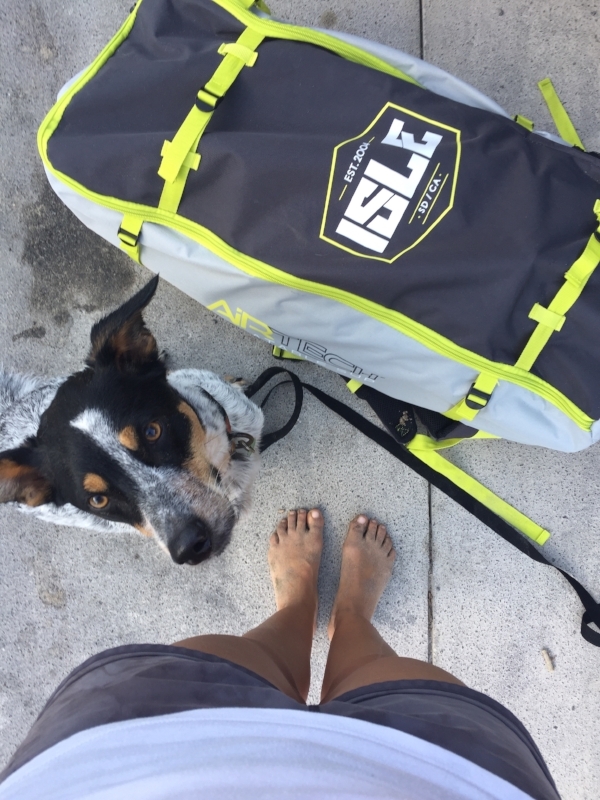 The ISLE inflatable SUP board comes in this nifty pack with everything you'll need; the collapsible paddle, the fin, the air pump all go into the bag, which is also an easy-to-carry backpack. I know there are some much better ways to get your dog used to a floating board, especially if they're skittish; you can start encouraging them onto the board on dry land, and give treats every time they touch a paw onto the deck, etc. He was definitely a little nervous at first and wanted to stay super close to me, just sitting in my lap. But we had a little chat and pretty quickly he started trusting the board. And finally I was able to get him to sit, and myself into a standing position! And then we were off and cruising! 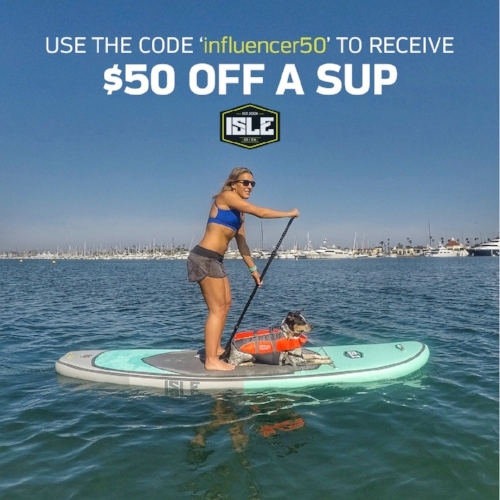 Stay tuned for more SUP with PUPS!